Dr. Krane majored in chemistry at the University of Oregon. After a short period working in a clinical laboratory in Hawaii, he started medical school at Oregon Health Sciences University. He extended his education by one year in order to learn spanish and work in a health clinic in rural Guatemala. After medical school, Dr. Krane attended the University of Pittsburgh Medical Center in order to complete a one-year internship in internal medicine. He received his neurology training at Rush University in Chicago, Illinois, followed by an additional year of training in neurodiagnostics as a fellow at the University of Chicago. He currently lives in Seattle, Washington. 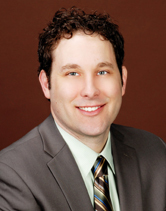 Dr. Krane is certified by the American Board of Psychiatry and Neurology (ABPN). He is a member of the American Academy of Neurology (AAN), the American Association of Neuromuscular and Electrodiagnostic Medicine (AANEM).